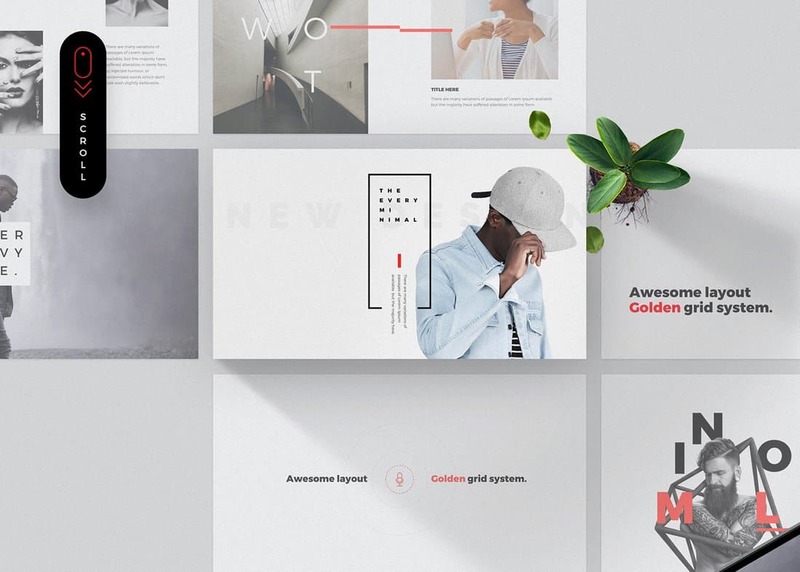 Lookbook is a free Keynote template that features a set of colorful and attractive slides. 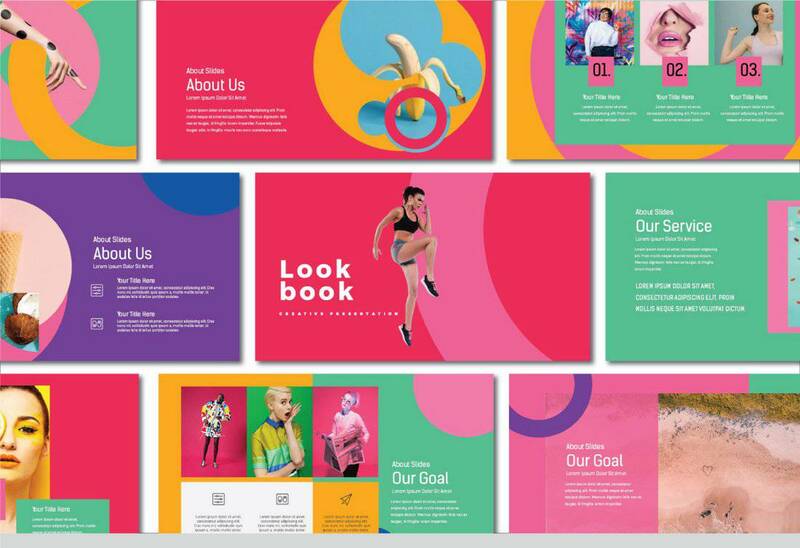 The template comes with a design filled with vibrant colors that makes it perfect for designing entertaining presentations for fashion, design, and creative brands. The template is available in PowerPoint format as well. Space is a clean and professional Keynote template that also comes with a PowerPoint version to let you design presentations using both apps. In addition to its beautiful slide designs, the template also features lots of icons, device mockups, and maps for making more attractive slideshows. 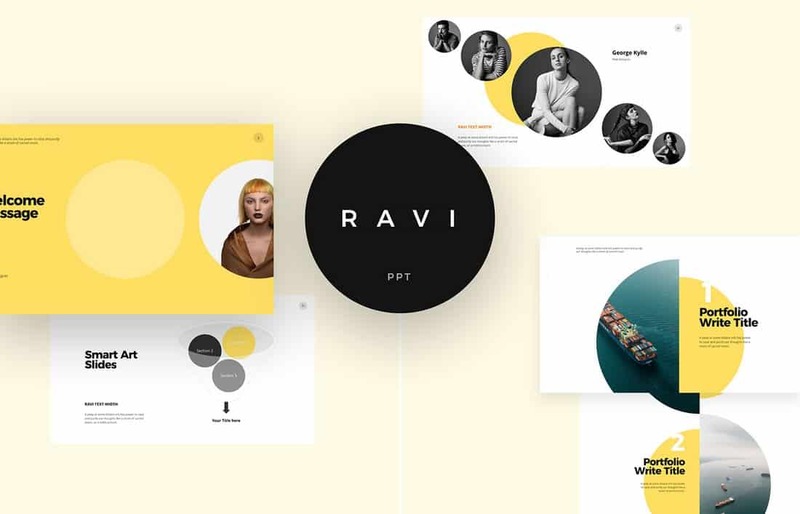 Ravi is a stylishly modern Keynote template you can use to design a colorful slideshow for fashion, marketing, and branding presentations. The template features an easily customizable slide layout featuring lots of vector elements, shapes, and device mockups. 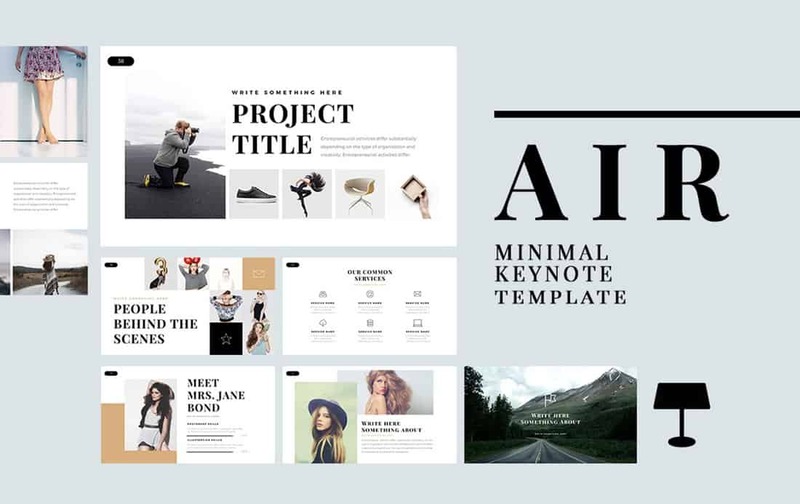 Air Keynote template comes with more than 60 unique slides featuring a minimalist design that can be easily customized to your preference. It’s ideal for making presentations for creative professionals, agencies, and startups. 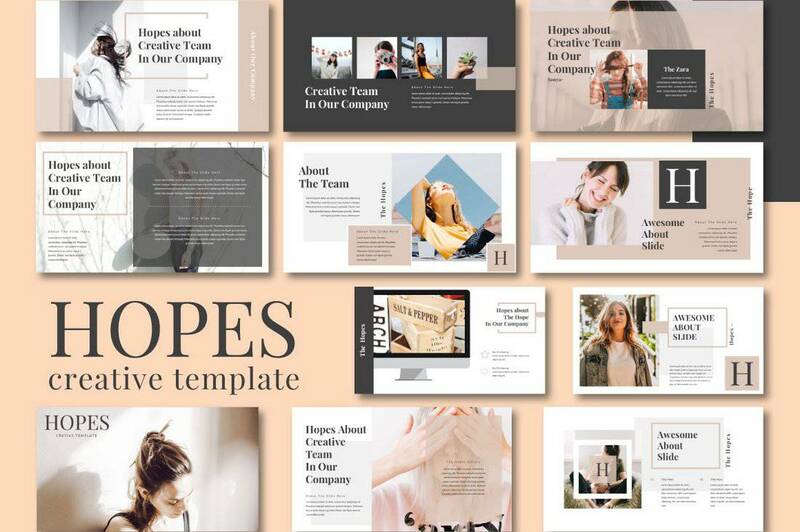 This free Keynote template is perfect for making presentations for showcasing your products, company, and brand. It comes with lots of unique slide designs featuring image placeholders and easily editable layouts you can edit and customize however you want. Another modern Keynote template featuring a minimalist design. 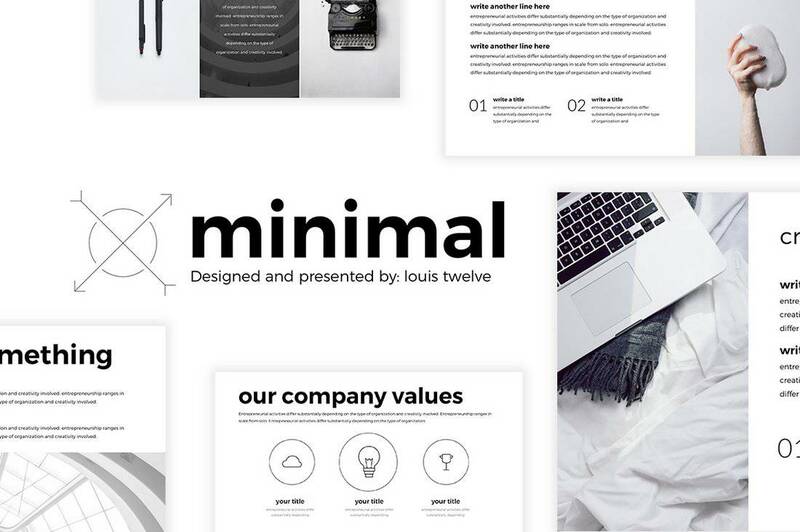 This template features minimal colors with a clean layout allowing you to design presentations for startups, creative agencies, and professionals. Just as the name suggests, this Keynote template is designed specifically for creating presentations related to business and companies. 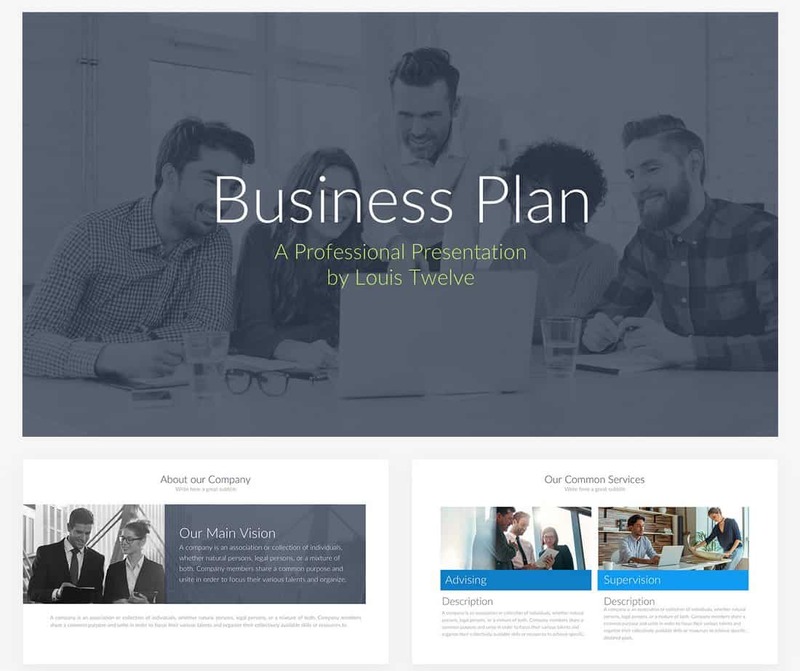 The template comes with a set of modern slides you can use to make slideshows for showcasing business plans, marketing plans, and more. 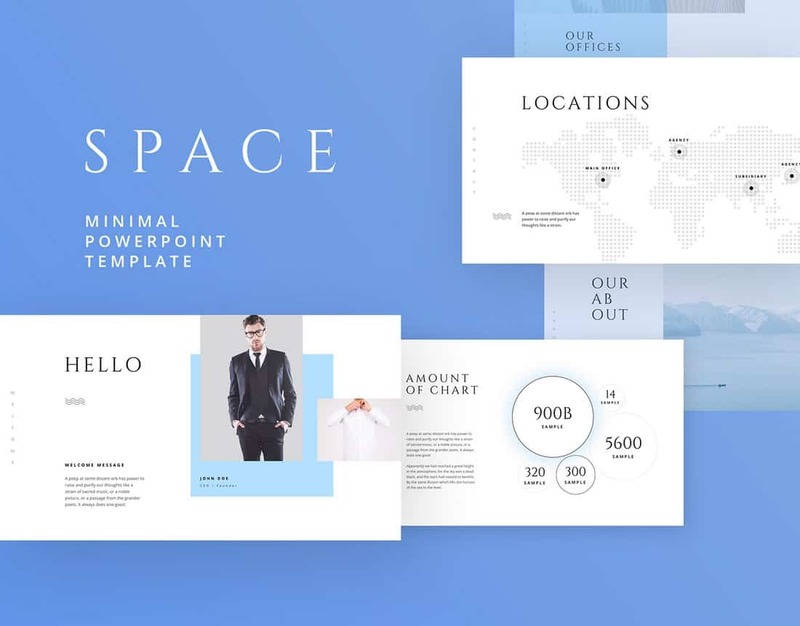 This free Keynote template comes with 8 unique slide layouts with stylish clean designs. The slides feature stylish graphics and charts that can be easily customized. 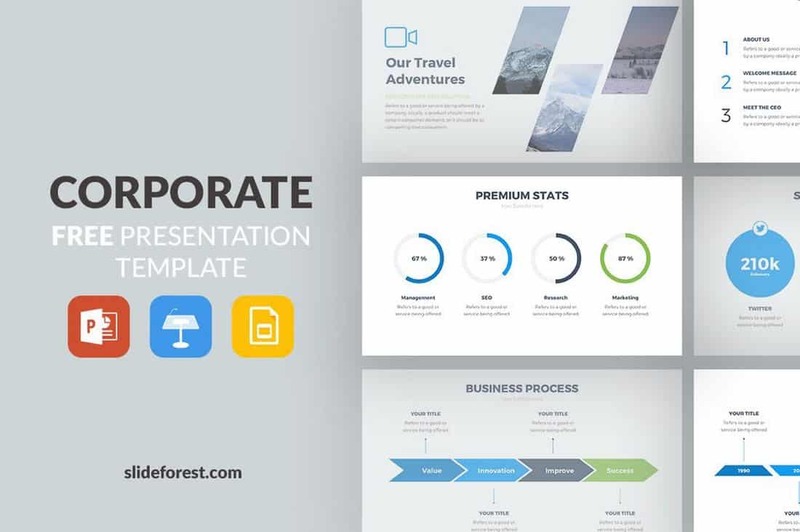 You can use the template to make corporate business and brand-related presentations. A highly minimalist Keynote template featuring a modern and clean design. 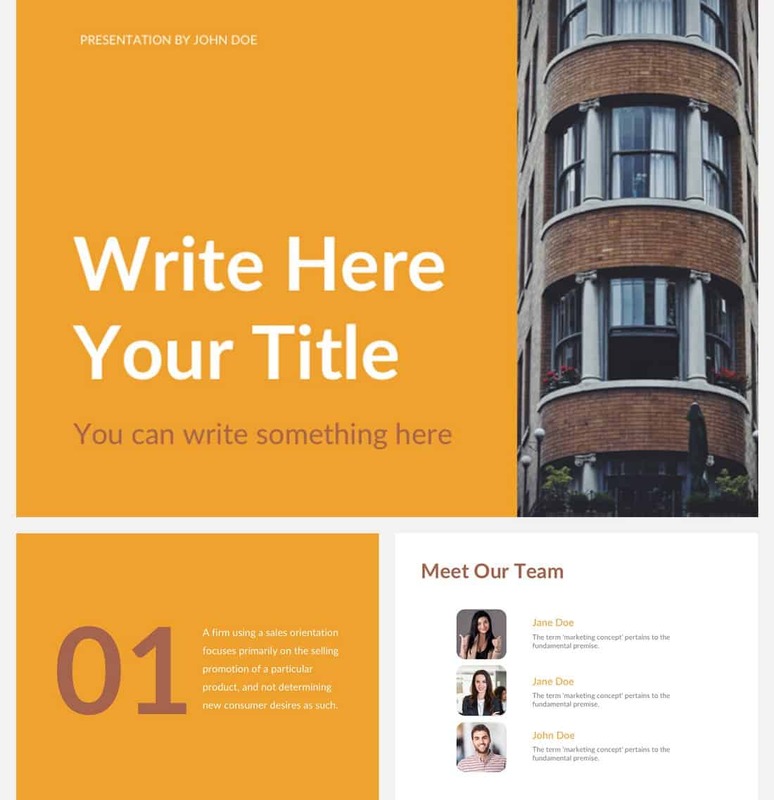 This template comes with 10 unique slides featuring a text content-focused design. It’s most suitable for making presentations for creative professionals and agencies. This free Keynote template includes 31 unique slides filled with lots of attractive colors, vector elements, and image placeholders. You can easily edit the template however you like to create slideshows for all kinds of presentations. 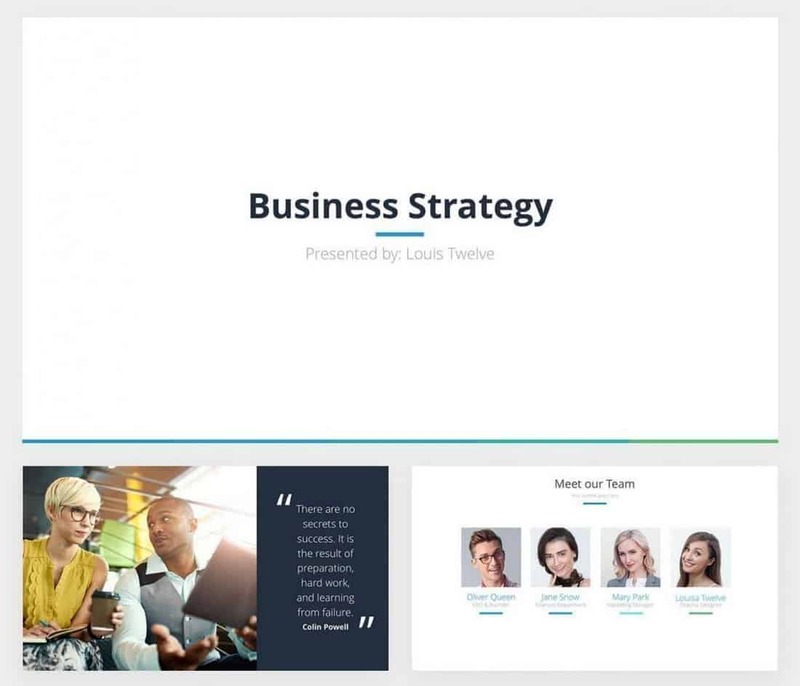 Bizpro is a simple free Keynote template that comes with 8 modern slides. It includes a set of high-quality vector icons, image placeholders, and editable layouts. The template also comes in PowerPoint and Google Slides versions. 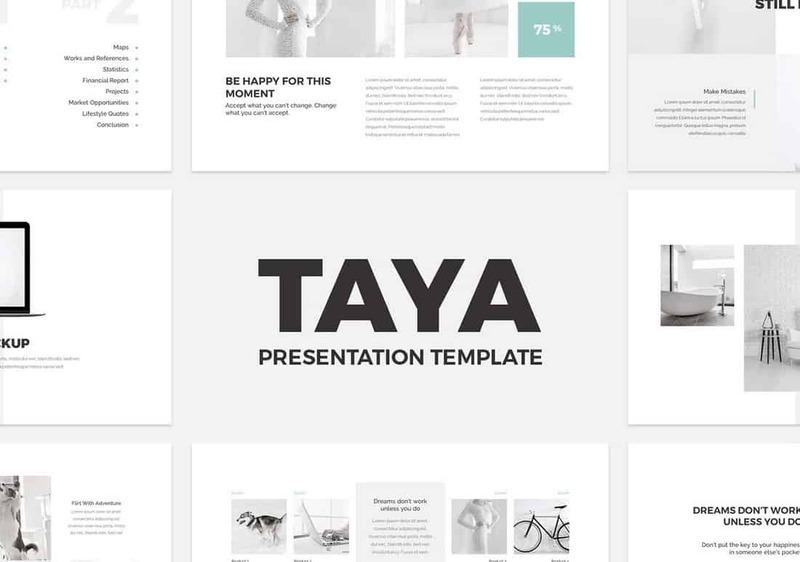 Taya is a creative and minimal Keynote template you can use to design slideshows for modern businesses, agencies, and brands. The template is fully customizable and features a clean layout with image placeholders. It’s available in PowerPoint version as well. Softly is a modern Keynote template featuring an image-focused design. 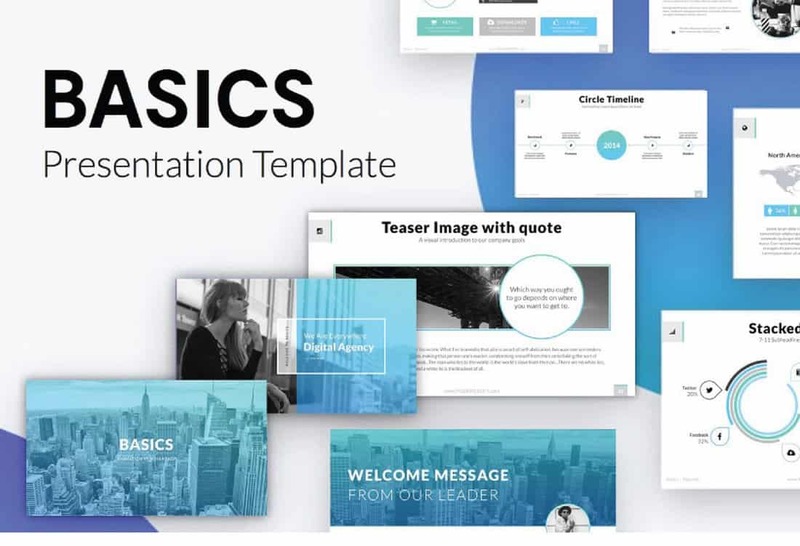 The template includes 60 unique slides with image placeholders, icons, vector shapes and more. It’s most suitable for fashion and portfolio presentations. 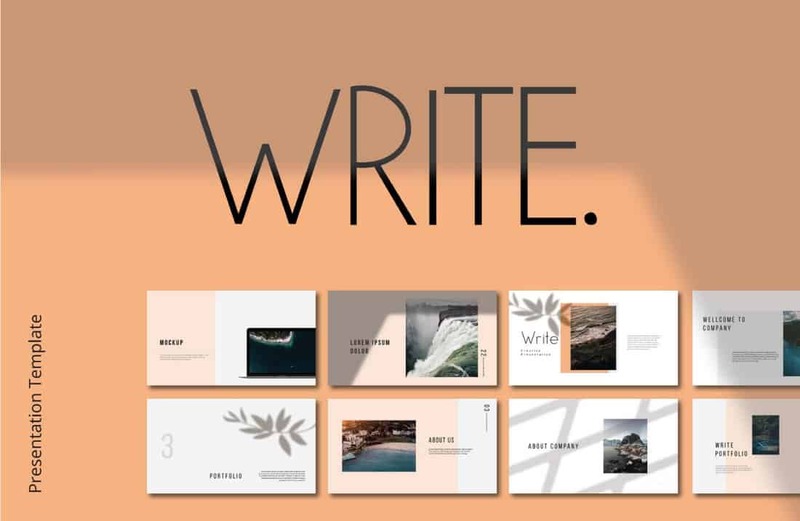 Write is a creative Keynote template that comes with a set of minimal slides. The template allows you to grab your audience’s attention with its clean and simple design. It’s available in PowerPoint format as well. 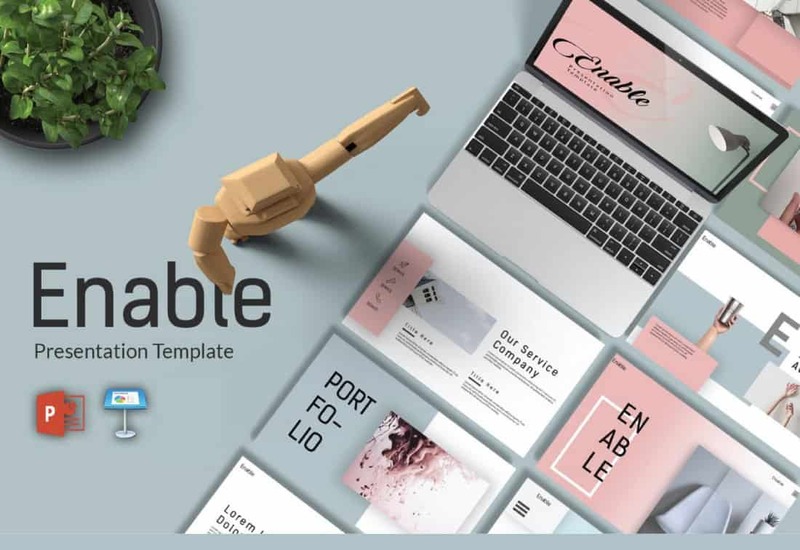 Enable is an elegant free presentation template that you can edit and use with both Keynote and PowerPoint. The template is easily customizable and features image placeholders and lots of editable vectors. 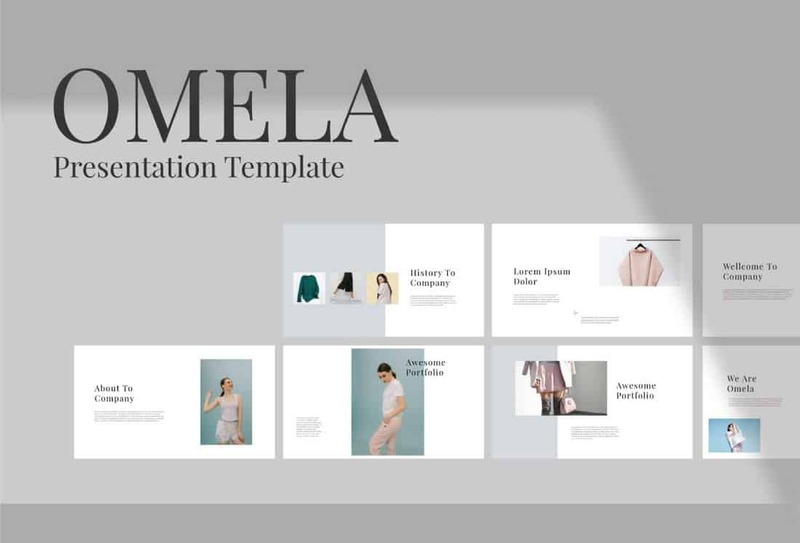 Omelia is a great fee Keynote template you can use to design presentations for fashion and design brands. The template features a content-focused design that puts more attention to images. It’s free to use with your personal projects. 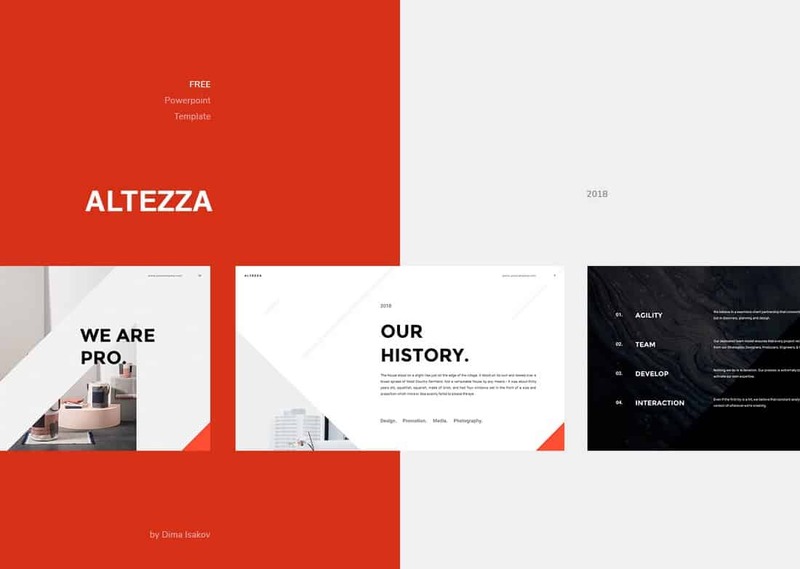 Altezza is a free Keynote presentation template featuring 11 unique slides. 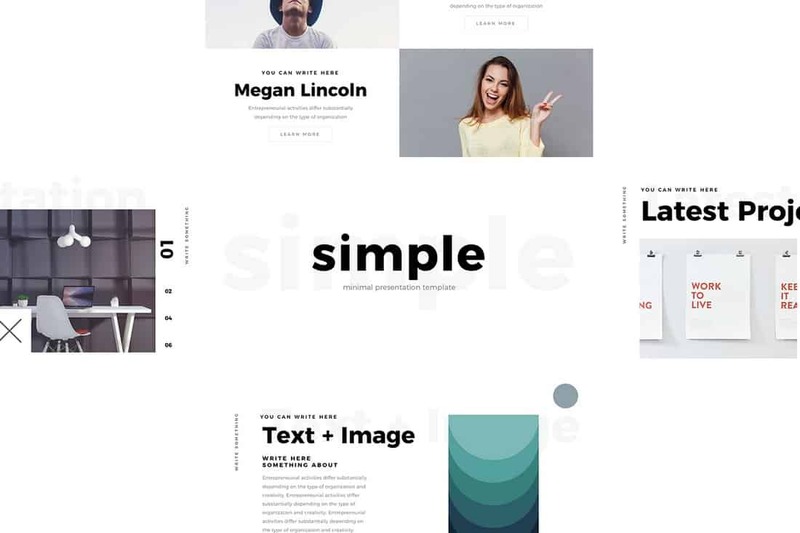 The template also includes Google Fonts, XML settings, along with Google Slides and PowerPoint versions of the template to let you customize it using your favorite app. Every is the ideal Keynote template you can use to make a creative portfolio or a design related presentation. 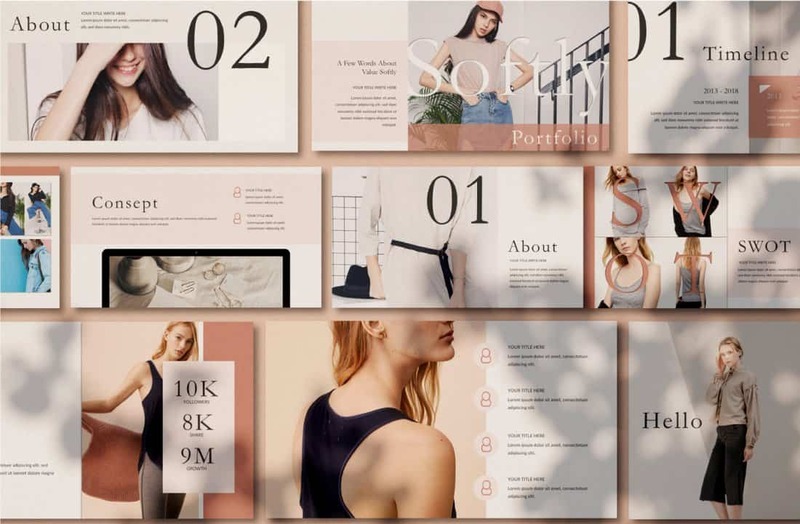 It comes with 16 unique slide layouts featuring easily editable design, image placeholders, and editable vector elements. 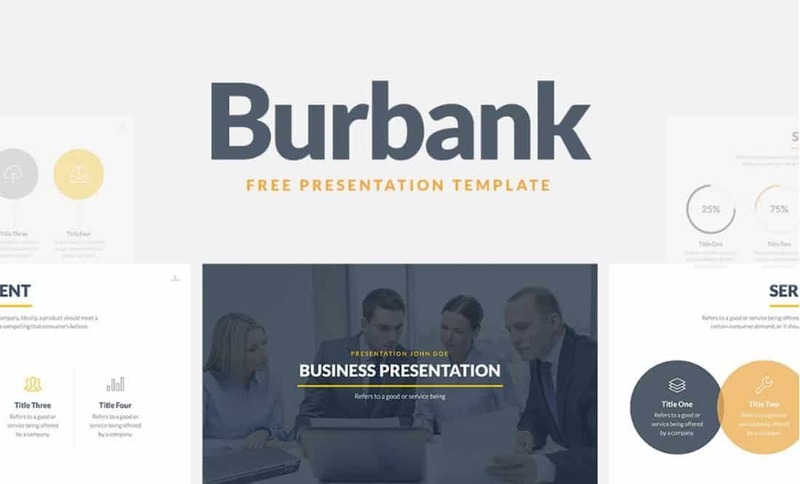 Burbank Keynote template comes with 8 fully customizable slides featuring modern and colorful designs. It’s ideal for making slideshows for a business meeting and event presentations. The template is also available in PowerPoint and Google Slides versions. 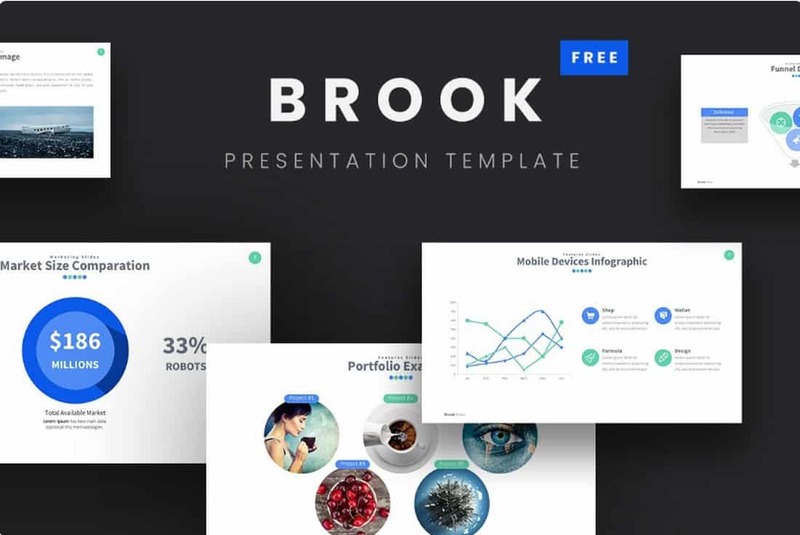 Brook is a modern Keynote template that includes 8 slides you can easily customize to your preference. It also includes creative vector icons, editable graphics, shapes, and much more. Business Strategy Keynote template is most suitable for making business-related presentations. It comes with 8 different slide designs featuring minimal layouts. 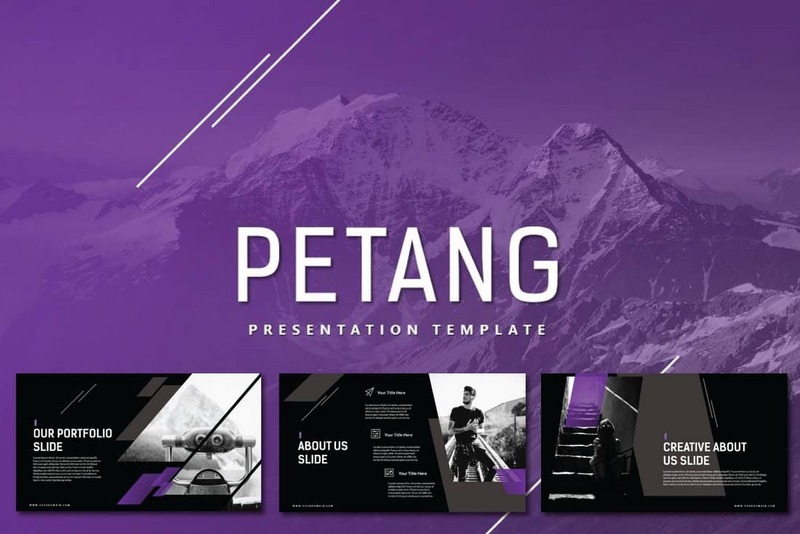 Petang is a free Keynote template designed for creative professionals and designers. It features a dark color theme that effectively highlights its content to attract the audience. The template also includes editable graphics, charts, and image placeholders.